Drew Bennett is the Whitney MacMillan Professor of Practice of Private Lands Stewardship in the Haub School of Environment and Natural Resources at the University of Wyoming. 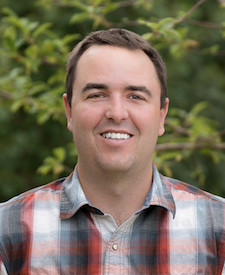 Drew's work focuses on strategies to balance agricultural production and the conservation of wildlife and other natural resources on private lands in the American West. He has previously worked with The Nature Conservancy on a cattle ranch in eastern Colorado, and for the Mesa Land Trust in western Colorado where he assisted landowners in exploring conservation opportunities for their land. View the Private Land Stewardship Program website. View and download a description of the Private Lands Stewardship Program. “Social-ecological enabling conditions for payments for ecosystem services." H Huber-Stearns, D Bennett, S Posner, R Richards, J Hoyle, S Cousins, and C Romulo. Ecology and Society 22(1):18. 2017. "The influence of sense of place on willingness to pay for payments for ecosystem services." M Nielsen-Pincus, P Hickson, D Bennett, H Gosnell, and R Parker. Society and Natural Resources 30(12):1423–1441. 2017. “Colorado's Return on Investments in Conservation Easements: Conservation Easement Tax Credit Program and Great Outdoors Colorado." A. Seidle, D. Anderson, D. Bennett, A. Greenwell, and M. Menefee. Colorado State University, Fort Collins, CO. 2017. "Addressing the gender gap in distinguished speakers at professional ecology conferences." C Farr, S Bombaci, T Gallo, A Mangan, H Riedl, L Stinson, K Wilkins, D Bennett, T Nogeire-McRae, and L Pejchar. Bioscience 67(5):464–468. 2017. “Ecosystem services valuation as an opportunity for inquiry learning." Z Taylor and D Bennett. The Journal of Geoscience Education 64:175–182. 2016. “Integrating multiple perspectives on payments for ecosystem services through a social-ecological systems framework." DE Bennett and H Gosnell. Ecological Economics 116:172–181. 2015. “Barriers and Opportunities for Increasing Landowner Participation in Conservation Programs in the Interior Northwest." D Bennett, A Nielsen-Pincus, A Ellison, A Pomeroy, H Burright, H Gosnell, C Moseley, and L Gwin. Ecosystem Workforce Program Working Paper 49. University of Oregon, Eugene, OR. 2014. "Utility engagement with payments for watershed services in the United States." DE Bennett, H Gosnell, S Lurie, and S Duncan. Ecosystem Services 8:56–64. 2014. "Payment for ecosystem services marketplace development at the local scale." S Lurie, D Bennett, S Duncan, H Gosnell, P Hickson, M Lewis, A Morzillo, C Moseley, M Nielsen-Pincus, R Parker, and E White. Ecosystem Services 6:93–103. 2013.